As everyone that follows my blog knows, I'm a big fan of Yamaha motorcycles. I started my riding life with a Yamaha XT250 in the early 80's and since then Yamaha has been in my heart. My second choice would be Suzuki and then Kawasaki. I have never been a fan of any other motorcycles. Yes, there are lots of motorcycles out there that are beautiful and powerful that I wouldn't mind having but I tend to gravitate to equivalent Japanese motorcycles. Before I bought the Yamaha Super Tenere, my motorcycle of choice to ride to Alaska was the 650cc Suzuki V-Strom which would have been ideal for my size. Yamaha had made the Super Tenere available in other countries almost a year before they announced it for the USA and I had been reading about it. The Tenere looked really good and had a great sounding unique 270° crank 1200cc engine but I also knew it was going to be a big motorcycle at 575lbs. Yamaha was following the success of the BMW GS with the big engine and the Ewan McGregor and Charley Boorman adventure series success. Had Yamaha brought the smaller 660cc Tenere to the USA I would have bought it instead. When they announced the Super Tenere for the USA I ran to the dealer and put a deposit down. I'm extremely happy with my Super Tenere but I like to adventure off-road and a lighter version of the Tenere would have been better for me. 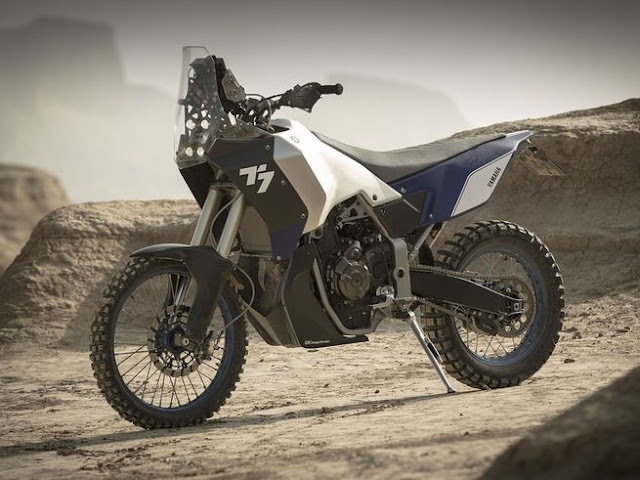 Last year at the EICMA show Yamaha previewed the Yamaha T7 Tenere Concept and the media went crazy. 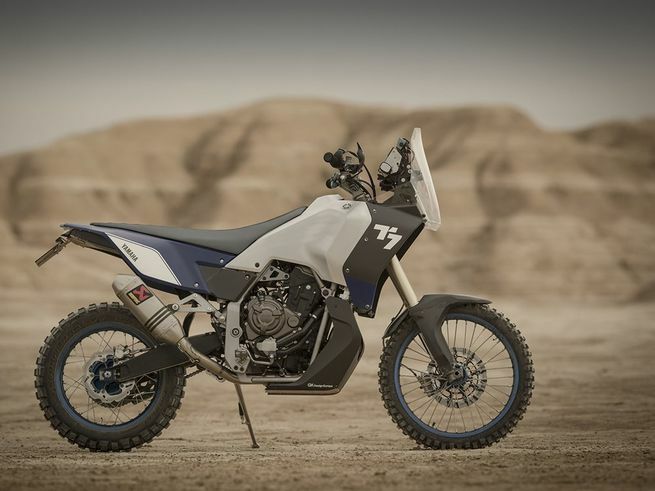 It looked like Yamaha had finally woken up to the smaller and lighter middleweight adventure concept and was getting ready to announce a smaller Tenere to replace the very old and outdated 660 but now with a slightly bigger parallel-twin engine most likely taken from the very popular FZ-07. The concept was developed in conjunction with its official rayy team in France and European headquarters and featured an 18-inch rear and 21-inch front tire. The T7 concept is a beauty. Like most people, I have been hoping for a 660 Tenere replacement for some time so you can imagine my excitement when a few weeks ago Yamaha alerted us to expect a big announcement on September 6th. There had been talk in the media about the announcement being about the smaller Tenere and the excitement had been growing among fans. The 6th came and I was ready, refreshed the webpage at exactly 10.30am EDT and to my surprise the announcement was for the new "Star Eluder". What does it even mean? To say I was disappointed is an understatement. 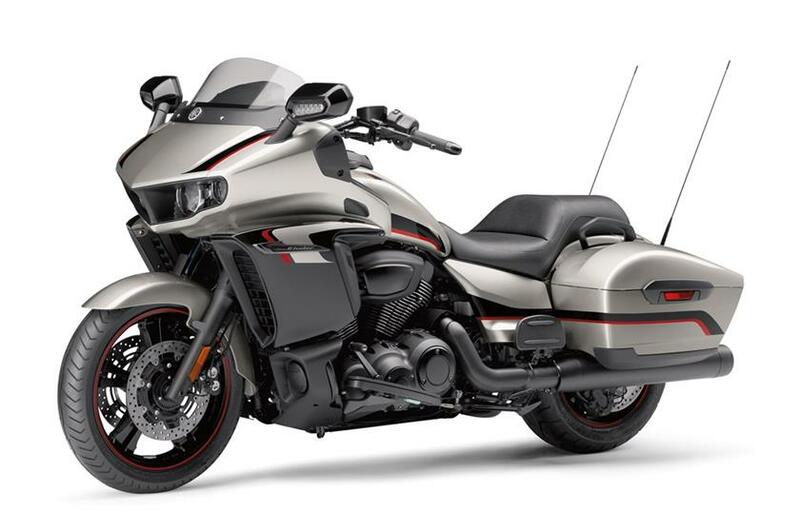 The new "Eluder" is a bagger to complement the previously announced "Star Venture". 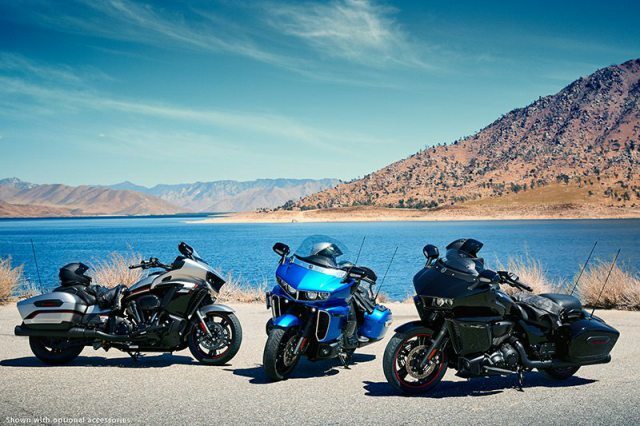 I guess Yamaha needed a motorcycle to compete with the Harley-Davidson Street Glide, Indian Chieftain, BMW K 1600 B and the Honda F6B Goldwing. 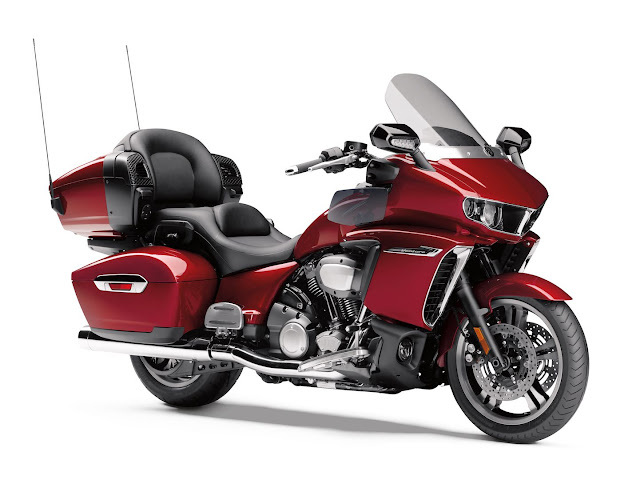 The "Star Eluder" is a beautiful bagger and has a modern air-cooled 113 cubic inch (1854cc) V-twin fuel-injected engine. The Venture and the Eluder are mechanically identical and feature “Drive Mode” settings that adjust throttle response, traction control, a heated seat for the rider and passenger and a fully-featured infotainment system. 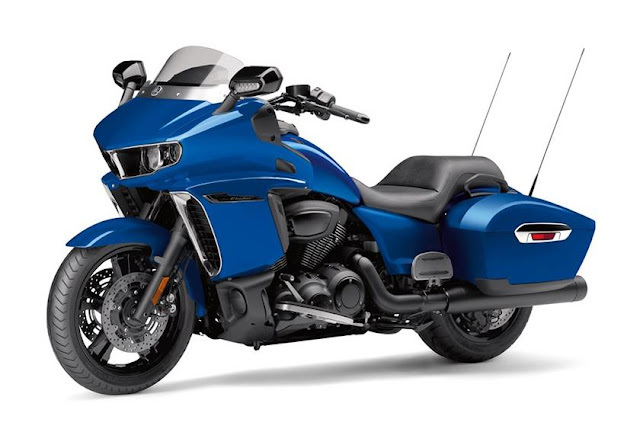 They are belt-driven touring bikes but unlike the much lighter T7, the Venture weighs 957lbs and the Eluder 875lbs. To keep up with the 7-inch infotainment system with Bluetooth and all the other electronic gizmos like navigation, SiriusXM, CB radio, security alarm, heated seats as well as all the lighting, they have paired alternators mounted low and forward in the engine cases providing a total of 750 watts, enough for the bike and rider's accessories like heated apparel. 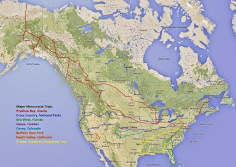 The Venture is shown below. 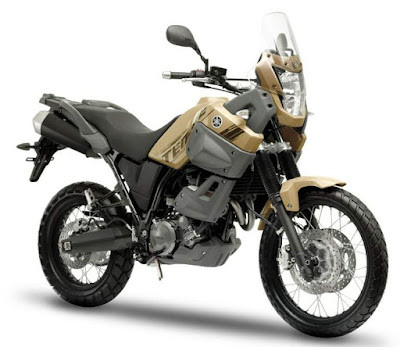 Now I await the next announcement which I hope will be for the smaller Tenere. The talk is that the new bike won't release before late next year in any case, which will be too late even if I wanted to entertain thoughts of buying one for my next trip. Maybe one day when I'm done adventuring off-road and decide to cruise down the highways and paved twisties I will consider a motorcycle like the Eluder, specially if I can convince my wife to ride pillion, but for now my beloved Super Tenere will continue to ride on for the foreseeable future. Below is the video announcing the Star Eluder for your enjoyment.